The 39th Annual Meeting of the Plant Pathology Society of Alberta (PPSA) was held together with the annual meeting of the Saskatchewan Regional Group of the Canadian Phytopathological Society (CPS) from October 15-17, 2018, at the Days Inn and Suites, Lloydminster, Alberta. This was the fifth such joint meeting, held at roughly 5-year intervals. These joint meetings provide an opportunity to meet and exchange information with colleagues across the provincial border, especially for technical staff who are not often able to attend national or international meetings, and provide graduate students with an opportunity to present their work at a large meeting in a year when the CPS meeting is too far away for most students to be able to attend. To that end, there is a strong emphasis on presentations by students and technical staff. In 2018, there were separate Student and Technician presentation competitions. All of the presentation award recipients received a copy of the book History of Plant Pathology in Canada. First place award winners also received a cheque for $150 and second place winners received a cheque for $50. The judges for both competitions were Barb Ziesman, Yu Chen and Dilantha Fernando. In the Student Competition, all three winners were M.Sc. students at the University of Alberta working with Drs. S. E. Strelkov and S. F. Hwang: First place went to Nicole Fox, Second place to Keisha Hollman, and Third place to Yixiao Wang. In the Technician Competition, First place went to Daniel McDougall (University of Regina, supervisor Dr. J. Stavrinides), Second place to Linda McGregor (Agriculture and Agri-Food Canada, Saskatoon, supervisor Dr. G. Peng), and Third place to Blake Hill (Alberta Agriculture and Forestry Brooks, supervisor Dr. M. Harding). Congratulations to all of the winners! In addition to the Student and Technician presentations, Dr. Tim Murray from the Washington State University provided an invited seminar entitled ‘Climate change and its impact on diseases of winter wheat’, Dr. Yantai Gan from AAFC at Swift Current made an invited presentation entitled ‘Adapting agronomic practices to changing climates through system integration’, Dr. Gary Peng from AAFC at Saskatoon gave an invited presentation on ‘Managing blackleg of canola in western Canada – An integrated approach’ and the CPS President, Dr. Dilantha Fernando from the University of Manitoba, provided greetings from CPS and outlined some of the recent initiatives and issues arising in the society. There were 67 attendees at the meeting, which consisted of an opening reception, two days of meetings with 23 presentations and 17 posters, a business meeting for PPSA and a formal banquet. The LAC for the joint meeting consisted of Bruce Gossen – Chair, Michelle Hubbard – Scientific Program, Yu Chen – sponsors, Merek Wigness – registration, Gary Peng – Finance, plus Noryne Rauhala (PPSA Treasurer) who handled the banking and invoices. Thanks to everyone who participated and special thanks to our sponsors for their generous support! Drs. Sheau-Fang Hwang and Kan-Fa Chang were nominated and accepted as honorary life members of the PPSA in recognition of their long service to and involvement in the PPSA. Also, the Swanson Award for 2018 from the PPSA went to Ms. Yifan Yan at the University of British Columbia. Ms. Yan’s project examines the impact of climate change on grape production and her supervisor is Dr. S. Castellarin. During November 6-8, 2017, the Annual Meeting of the Plant Pathology Society of Alberta was held in Drumheller, Alberta. The meetings and social activities were held at the Badlands Community Centre, a remarkable building that has both conference facilities and a fieldhouse for sports and physical activities. A total of 41 registrants presented 11 scientific papers and 22 posters. Two oral and three poster student presentations and three oral and seven poster technician presentations competed for awards. Winners in the technician competition were G. Daniels (Evaluation of species composition and fungicide resistance in Fusarium populations causing dry rot in Alberta potato storages) for best oral presentation and E. Amundson (Prevalence and virulence of stripe rust in southern Alberta) for best poster presentation. The best student presentations were N. Fox (Evaluation of lime products as a clubroot management tool) for best oral presentation and Y. Wang (Baseline sensitivity of Leptosphareia maculans isolates from Alberta to pyraclostrobin) for best poster presentation. Homa Askarian Khananan was awarded both the Terry Swanson Memorial Scholarship and the PPSA Student Scholarship. The 2018 meetings will be held in October in Lloydminster with President Bruce Gossen presiding. 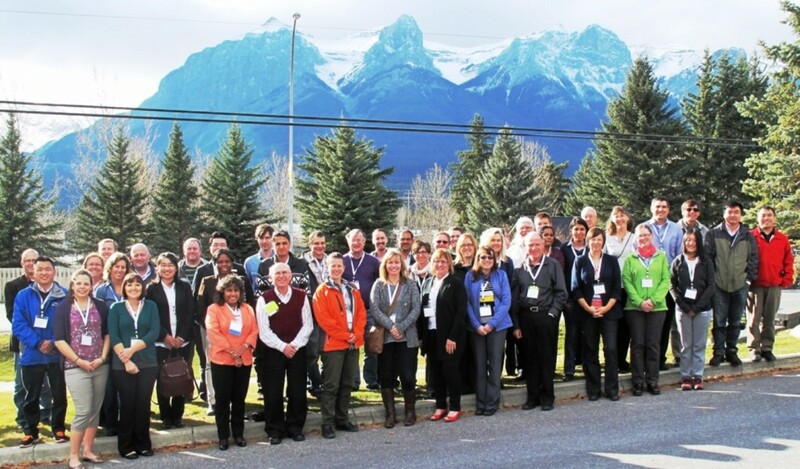 This past fall, Plant Pathology Society of Alberta (PPSA) members from the Lacombe Research Centre, Agriculture and Agri-Food Canada, Lacombe, AB, and Alberta Agriculture and Rural Development (AARD) organized the 35th Annual Meeting of the Plant Pathology Society of Alberta, Canmore, Alberta, October 27-29, 2014. The meeting was held at the Best Western Plus, Pocaterra Inn, an excellent location and opportunity for attendees to enjoy some scenic mountain vistas. The meeting started off with a reception at the Best Western Plus, Pocaterra Inn, during the evening of October 27, 2014. A key feature of the reception was a wide-selection of craft beers from select breweries in Canada and the USA, and made with malt produced by Rahr Malting, Co. of Alix, Alberta. The reception was a chance for attendees to renew acquaintances and to discuss ongoing research in plant pathology in a relaxed informal setting. The scientific program for the 2014 PPSA covered oral and poster presentations on Tuesday and Wednesday morning. Tuesday morning started with welcoming addresses from Kelly Turkington, Chair of the Local Organizing Committee, and Dr. Deena Errampalli, CPS-SCP President. Next we had keynote presentations from Drs. Ron Howard, AARD Brooks, and Mary Burrows, Montana State University. Ron presented an overview of plant pathology in Alberta during his 40-year career, while Mary presented an outline of research, education, and outreach efforts in Montana regarding the wheat streak mosaic virus. The keynote presentations were then followed by oral and poster presentations by students, technical staff and scientists. In total there were 13 oral presentations, including the keynote presentations by Ron and Mary, while the poster session on Tuesday afternoon featured a total of 16 posters. 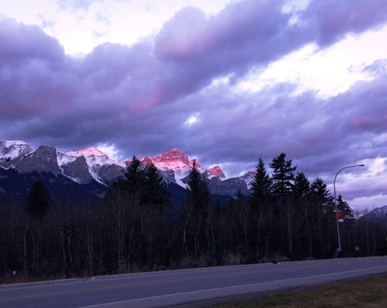 Tuesday’s oral and poster sessions were followed by a banquet and awards ceremony at the Gaucho Brazilian Barbecue, on Main Street, in Canmore, AB. PPSA attendees enjoyed a vast array of Brazilian food including a large selection of barbequed meat. Some attendees also enjoyed a Caipirinha or two, which is Brazil’s national cocktail made with cachaça (sugar cane hard liquor), sugar, and muddled lime. The awards ceremony featured recognition of recipients of the PPSA Scholarship, and presentations for the best student and technician oral presentations and the best technician poster presentation. The awards were as follows: PPSA Scholarship of $1000.00 was awarded to Samira Safarieskandari, University of Alberta; Best Student Oral Presentation $100.00 was awarded to Krista Zuzak, University of Alberta; Best Technician Oral Presentation $100.00 was awarded to Michele Frick, Lethbridge Research Centre, AAFC; Best Technician Poster Presentation $100.00 was awarded to Michael Holtz, AARD Lacombe. The student and technical staff award recipients also received copies of the History of Plant Pathology in Canada. Not presented at the awards ceremony in Canmore, but done at a later date was the T. Swanson Scholarship $1000.00 awarded to Barbara Ziesman, University of Alberta. the annual PPSA business meeting. PPSA meeting including: Alberta Barley, Alberta Canola Commission, Alberta Wheat Commission, Rahr Malting Co. Inc., BASF, Bayer CropScience, Syngenta, 20/20 Seed Labs Inc., and BioVision Seed Labs, Inc., for their generous support. The organizers would also like to thank the attendees of the 2014 PPSA meeting for helping to create a stimulating scientific program on plant pathology research and for their camaraderie during the meeting. instrumental in arranging for the meeting venue, accommodations, and the banquet. The 2014 PPSA meeting was Deb’s final meeting as she is now retired from AAFC. Deb’s meeting and banquet organizational skills and expertise will be greatly missed by her colleagues at Lacombe.